Other players in the field also include online poker legend Cliff "JohhnyBax" Josephy, Australian pro James "Andy McLEOD" Obst, Griffin "Flush_Entity" Benger and 2009 November Niner Antoine Saout. 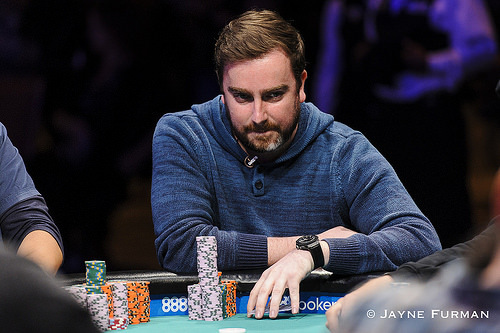 Day 6 of the $10,000 buy-in World Series of Poker Main Event kicked off with just 80 players, the chipleader was Jerry Wong with 11,555,000 chips, but Kenny "SpaceyFCB" Hallaert, Griffin "Flush_Entity" Benger, Jared "Harrington10" Bleznick also returned to big stacks. After playing five and a half 2-hour blind levels, there were just 27 players left with 2013 EPT Deauville High Roller champion Vojtech Ruzicka bagging the most chips. Plenty of big names were eliminated during the day including Jonathan "MONSTER_DONG" Karamalikis, Tom "hitthehole" Middleton, Tony Gregg, Chris Klodnicki, Jason Les, Max Silver, Paul "paulgees1" Volpe and Dan "mrGR33N13" Colman. The final elimination of the day was Elliott Peterman, he shoved all-in for from UTG for 3,290,000 during Level 31 (100,000/200,000 - 30,000 ante) with Q-Q, he was called by Ruzicka's A-K and the board ran out A-K-4-4-2. Cliff "JohnnyBax" Josephy is a legend in the online poker community, he was considered to be one of the best players in the golden days of poker and has ran an incredibly successful poker staking stable for years. 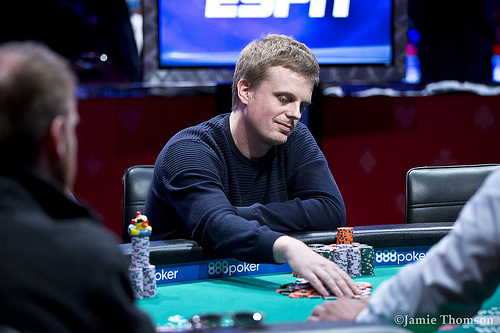 James "AndyMcLEOD" Obst has $1,6 million in live tournament earnings and countless huge wins at the online tables. Valentin Vornicu has more than $500,000 in live tournament winnings and is the second on the WSOP Circuit leaderboard with eight WSOPC golden rings. Griffin "Flush_Entity" Benger is a former Counter Strike pro who has had tremendous success at both online and live tournaments. 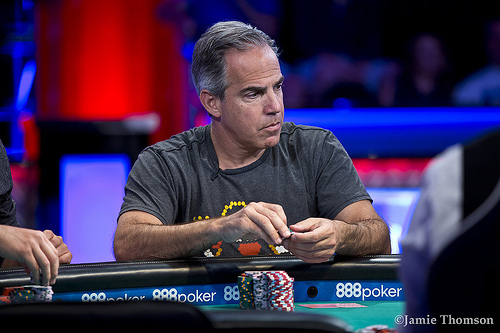 Tom Marchese has more than $13 million in live tournament earnings and is also a high-stakes cash game regular. Antoine Saout dominated the 2009 World Series of Poker Main Event final table and only finished in third because of Joe Cada's insanely lucky run of cards. In addition to these players, Kenny Hallaert, Gordon Vayo and Jeff Hakim are also considered big favorites to reach the final table.